What's the best Bible for a new believer? As you might expect the answer depends on who you are as a new believer. Let’s assume you’re a new believer, but you have no church background. You'll naturally want a Bible that reads as easily as any other book. One that uses the modern English language you speak every day, doesn’t use old-fashioned words and phrases, and isn’t cut up into numbered verses that get in the way of the books flow. If this is you and this is the Bible you want, then maybe The Message is for you. Bibles like The Message are known as ‘paraphrases’. They take the old-fashioned Bible language that can put new readers off, and make it flow and move in the way people today talk to each other. To keep you in touch with other Bible readers, the Message New Believers Edition has the verse and chapter numbers lightly written in without breaking up its easy readability. 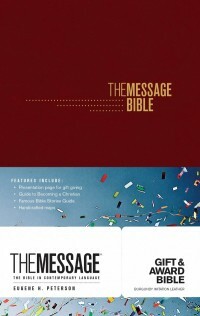 And if you want something extra for getting to know the Bible, add a copy of The Message Gift and Award Bible: an affordable daily Bible with a Bible reading plan and more. The New International Version Bible (NIV) is probably the most popular church Bible. It has a reputation for accuracy, but is a bit more formal a read than The Message, though is the Bible of choice for the Alpha new believer discipling course. There’re a number of editions available, but as a new and enthusiastic Bible reader, you might want the Alpha One Year Bible; which helps you through the whole Bible in 365 manageable readings. With a similar reputation for accuracy, but a livelier reading style, you might want to look at the New Living Translation Bible (NLT). This Bible has a youthful feel with special editions for students and young people. 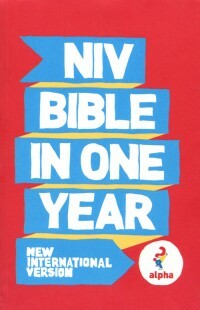 Also, the NLT One Year Bible helps guide new Christians through the whole Bible in just a year. 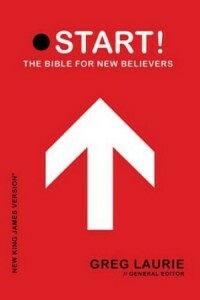 For new believers more familiar with the Bible, or with a preference for a more traditional read, Greg Laurie’s Start! Bible might be the one for you. Newly published the Start! Bible is based on the New King James Bible (NKJV). That means it has the recognisable sound and poetics of a ‘traditional’ Bible, but replaces old fashioned words like ‘thee and thou’ with modern, understandable words like ‘you and yours’. Start! includes a lot of help useful to new believers, such as articles and devotions on subjects including prayer, Bible study, church involvement, sharing your faith, and discovering God's will. On top of these, there are two new ways to read the Bible in 2018. 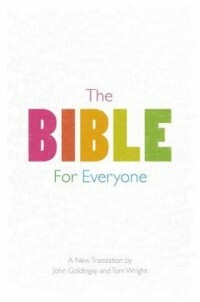 The Bible for Everyone by Tom Wright and John Goldingay presented the Bible in a way that speaks to today's generations. Inspired by the ‘For Everyone’ studies that have helped Christians new and seasoned better-understand the Bible, this translation is clear and inspired. Tom Wright and John Goldingay bring their renown expertise and focus on communication to create an ideal first Bible. For new Christians wanting a short overview of the whole Bible before digging deep, The One Hour Bible brings the whole story of the Bible into a book that can be read in one sitting. Made of the gathered excerpts from the NLT text, the One Hour Bible helps readers see the text in its entirety. Best suited for anyone who knows only a few stories of the Bible, and wants to know how they fit in. Whilst not a full Bible, it is the perfect introduction. Continue the search for the right Bible for a new believer in the Bible Category, where you can use the Filter Bar on the right-hand side of the screen to select your desired translation, key features, colour, age group, binding, price and even font size. If you have any suggestions, please comment below and turn this article into a conversation about which Bible we should present to our new believers. I am not happy with most of the today's English versions, mainly because they are not formal and accurate enough in translation and also because, if not infected by liberal theology, they are often based on the shorter and less original 'eclectic' text of the New Testament that leaves out certain well-attested verses and portions, such as, Mark 16: 9-20. I am not one of those persons, however, who says that one must only use the King James Bible - although it is very often more accurate than today's versions where they differ with it on important doctrinal verses, such as, Micah 5: 2. One modern version which I am quite happy with is the New King James Version: read alongside the older KJV the two together make a delightful and often very invigorating read.